Hello. It’s me. Yes, it’s been awhile but I’m back! Since I last posted I’ve been on many journeys. Up and down in Spain, Tuscany and Rome again, Venice for the first time and to the Friuli region of Italy. The photo above is from Venice where the Spritz reigns king. Here you can see some examples of traditional cicchetti – small snacks or side dishes. They come in so many versions, you could exist on cicchetti your entire trip and not get tired of it. I’ve been posting quite a few photos these days on my Instagram account (@bethbeeman) of my travels. Check it out if you have the time. Meanwhile, I’m back here. Great to reconnect. Last summer I visited this lovely winery, caseificio (CHEESE!) and olive farm located in San Casciano Val di Pesa, roughly halfway between Florence and Siena in Toscana. Nestled in a remote location with breathtaking views of the countryside, it’s well worth the drive. We had the normal tour of the place, learned about the cheese and olive oil production and then settled down to TASTE! Posing for Pictures in Italy. We often forget to enjoy the view as we spend hours behind the camera lens. 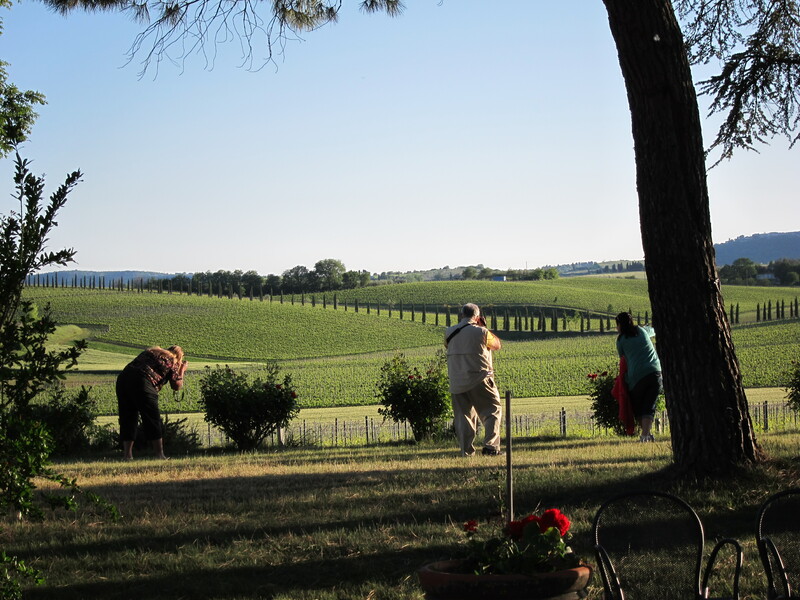 This picture shows what happened when we arrived at Il Greppo winery near Siena – a photographic hog-heaven of sorts. I’m curious, what sorts of body contortions will you do to get the perfect shot? Anyway you look at it, it’s complicated! 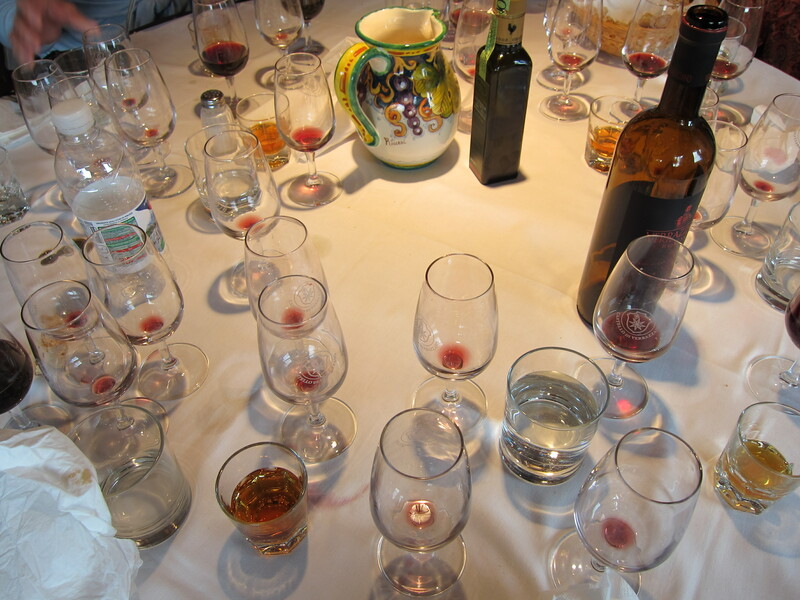 Wine tasting that is. At Castello Verazzano in Tuscany in May 2012.